Country Party in old good style! Since 2013 our guests participating in Galicia Tour are hosted by the Cultural Center in Strzyżów and “Kłosowianie” folk group. These country parties became the tours highlights! Watch some of the best moments from 2016. 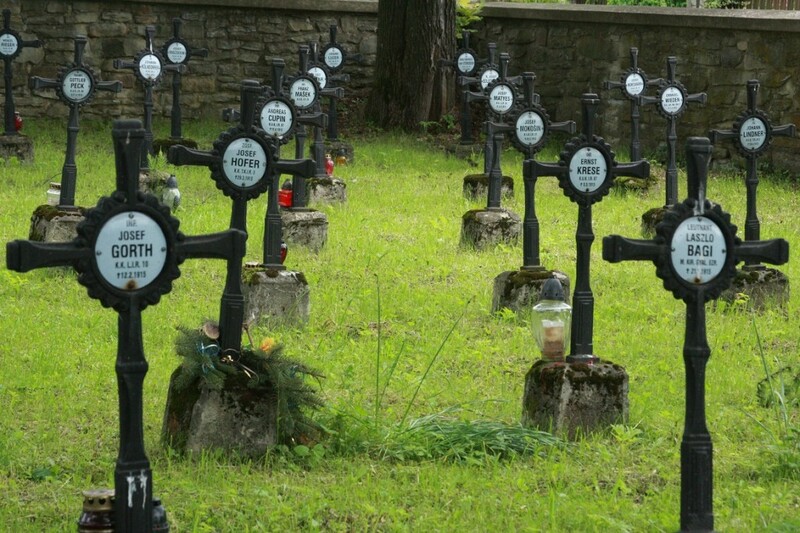 War cemeteries in Western Galicia. Usually, when we think about the First World War in Europe the image of the western front line appears before our eyes. In France this conflict is called ‘the Great War’ and some of the famous battlefields were at Verdun, Marne and Ypres. The Eastern European front line is sometimes forgotten and we should remember that many battles took place in the territories of today’s Poland. When World War 1 ended in 1918, Poland was able to regain its independence, after many decades of foreign rule. Polish people had been living under three partitions: Prussian, Austrian and Russian, and the Polish soldiers fought for all 3 of these armies, sometimes against each other. Just another dramatic fact in our turbulent history. Here it is. PO Galicia Tour video. We have tried to fit in the five minutes all those emotions, landscapes, sounds, tastes and emotions that we have witnessed in last season of our tours in 2013. 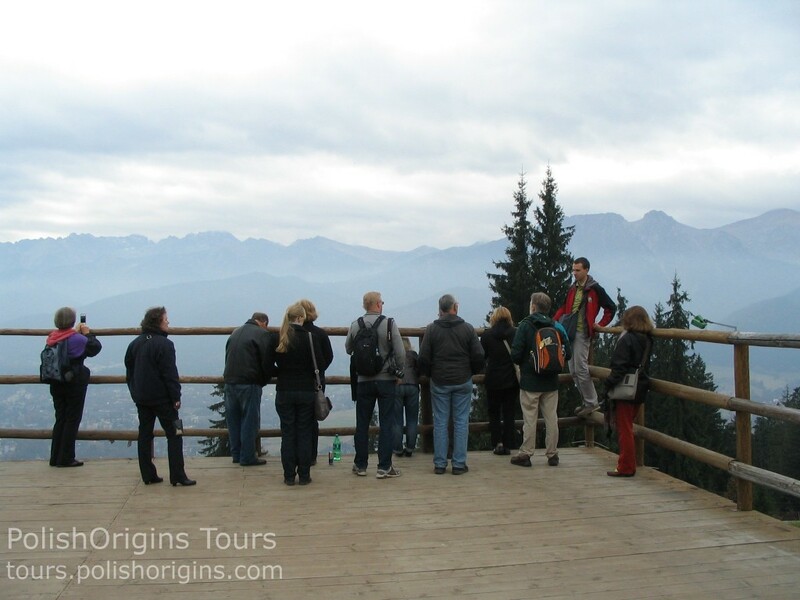 See more details about PO Galicia Tour, including dates available for 2014: http://galicia.polishorigins.com . October Galicia Tour. Day 9: Auschwitz museum and farewell dinner. At the last day our group had a half day trip to the Concentration Camp Museum in Auschwitz and Birkenau. In the evening we all met on the farewell dinner at the hotel. This day our group visited wonderful underground world of salt chambers and sculptures in Wieliczka Salt Mine. 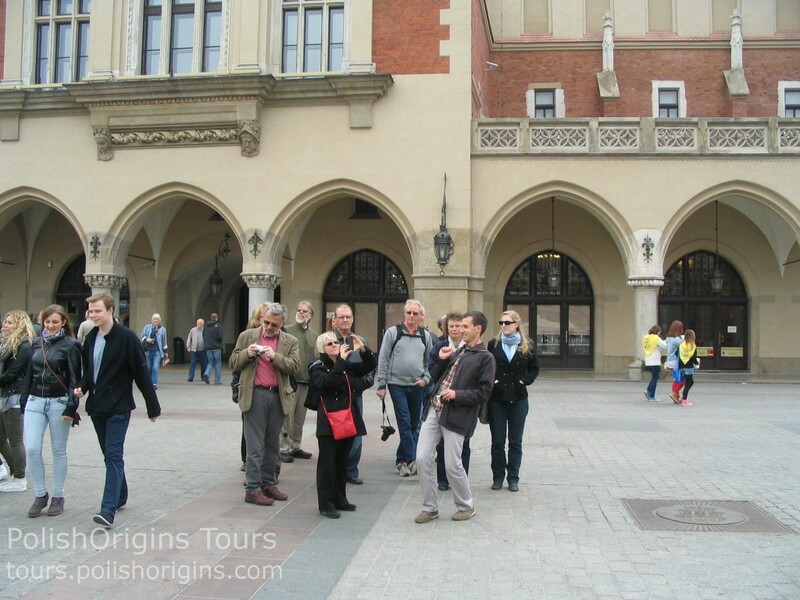 >Our second proposition was The Ethnographic Museum in Krakow. Located in Kazimierz area, in the ancient town hall. The museum was renovated a few years ago, combining the old, valuable collections of traditional culture relict with modern ethnographic and anthropological perspectives. It was a kind of the resume of our trip to Galicia and the world of our ancestor’s everyday life. The museum presents the houses interiors of different regions, Polish traditional costumes but also spiritual culture and traditional art. 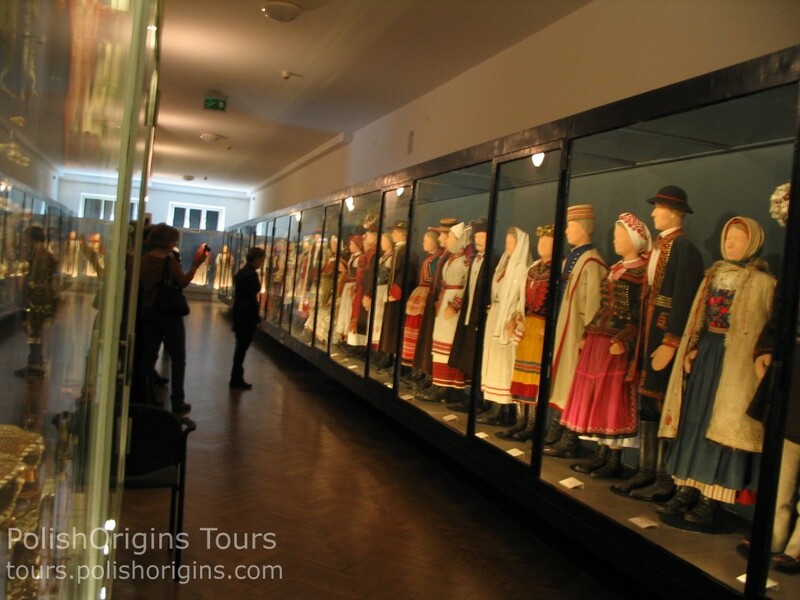 Traditional clothes in Ethnographic museum in Kraków. Picture: Zenon, PolishOrigins. After breakfast group left Podhale for Krakow. 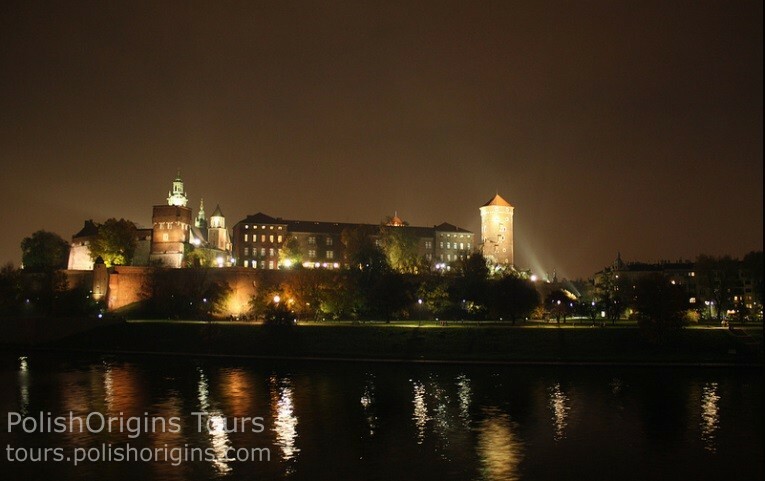 We had a guided tour through the Old Town, Wawel Castle and many other places. A walk on Main Market square. Picture: Zenon, PolishOrigins. 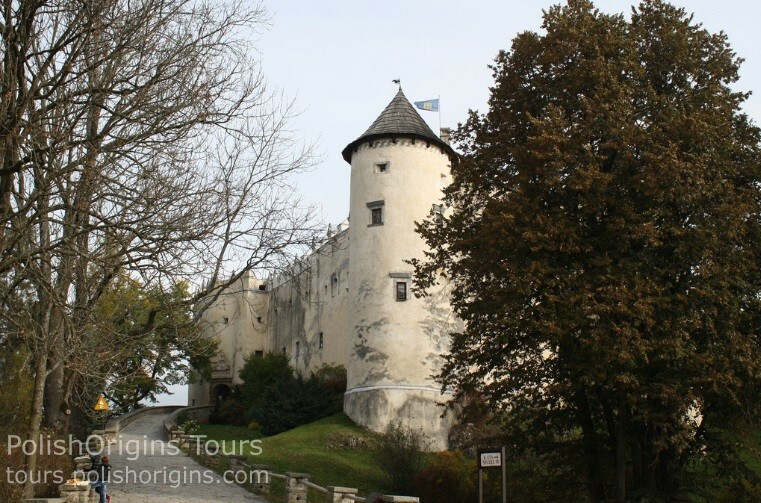 Today our group visited Pieniny Mountains, where on both river banks, are located two castles: in Czorsztyn (on the historic Polish side, but today only the ruins remained) and Niedzica Castle, an important center of Polish-Hungarian relations since the 14th century. We had a guided tour there. A view to the Tatra Mountains from Gubałówka. Picture: Zenon, PolishOrigins. 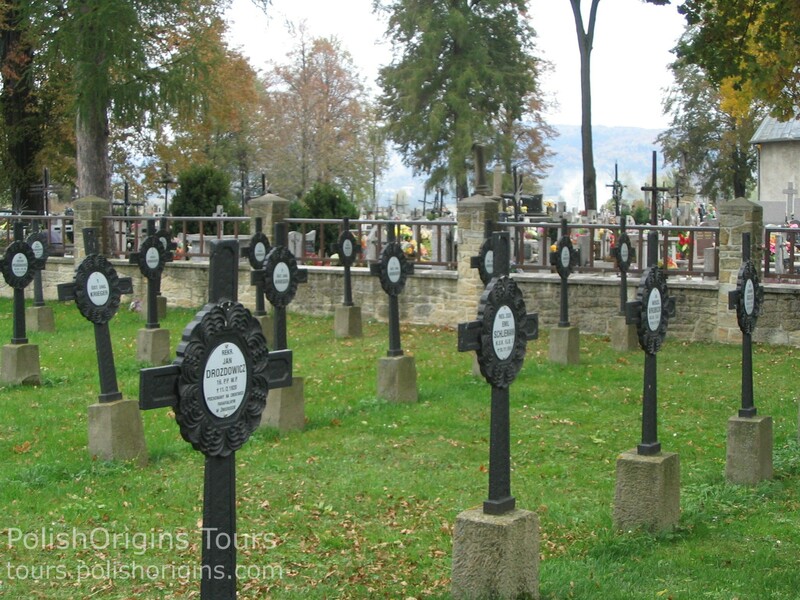 In Zakopane our group travelled up to Gubalowka mountain by trail carriages, visited Tatra Museum and the old cemetery. Our guests had a free time and a great opportunity to do shopping in the outdoor market. In the late afternoon we had dinner in one of the Zakopane restaurants with live Gorals band music. October Galicia Tour. Day 4: Ancient History and Nature. Heading for the Tatra Mountains. This day our group visited Carpathian Troy and Magura National Park Museum. On the way to Podhale we have stopped to see the cemetery from the First World War in Nowy Żmigród. At the First World War’s cemetery. Picture: Zenon, PolishOrigins. 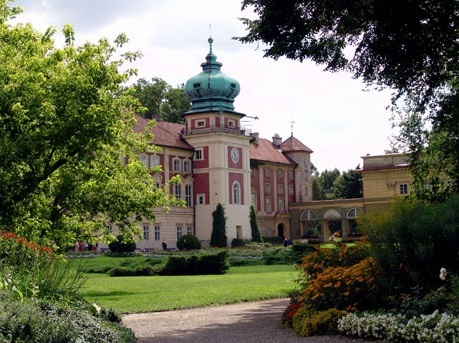 A visit in Łańcut Castle, the traces of the vanished world of Polish nobility. It is one of the most beautiful aristocratic residences in Poland, sometimes called the Potocki Palace, since that family lived here for a few generations. The palace was built in 1628-1641 by Stanisław Lubomirski, and rebuilt in 1894-1903 in the style of French Neo-baroque. It is famous for its excellent interiors, orangery, and extraordinarily interesting collection of horse-drawn carriages. The palace complex is surrounded by an old and picturesque park in the English style filled with pavilions and farm buildings, all part of the former daily life of the castle.